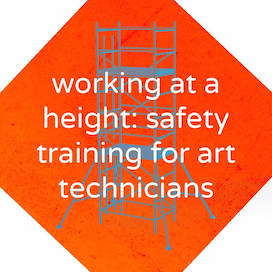 This is a one-day training course specific to the needs of arts workers and technicians working at a height, facilitated by qualified and experienced scaffolding professionals. The course will ensure you and your place of work are compliant with legal safety regulations by ensuring a competent and proficient person oversees the erection, dismantling and storage of mobile towers / scaffolds. Many arts centres and galleries require their staff to work at a height on a regular basis. To comply with the Safety Health and Welfare at Work Regulations 2007, prefabricated towers such as aluminium alloy towers may only be erected by competent workers with adequate skills and training. Employers are legally obliged to provide their workers with adequate and comprehensible instructions both for the erection and checking of the tower. Qualification meets the standards of PASMA (Prefabricated Access Suppliers’ and Manufacturers’ Association) (UK) and CSCS (Construction Skills Certification Scheme) Mobile Tower Scaffold (Ireland). 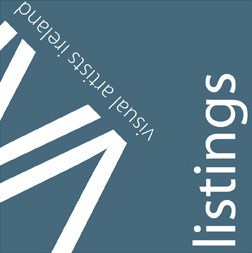 Sign up to the Visual Artists Ireland free e-bulletin to receive regular arts news including information about upcoming Belfast Open Studios events. Belfast Open Studios is part of Open House Belfast, a festival celebrating architecture, engineering and public space in the city.